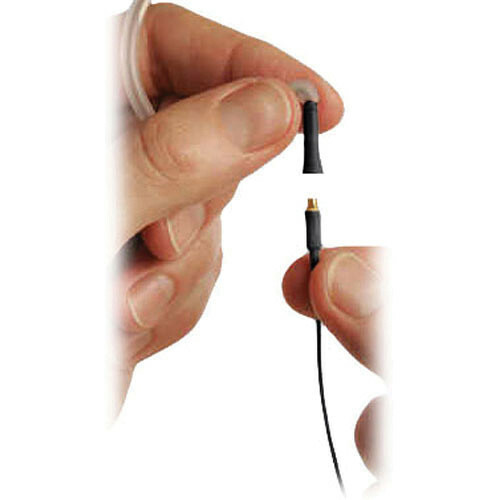 This Countryman Snap-on Microphone Cable is designed for use with the E6 and E6i earset microphones. Cable damage often requires that the entire microphone be replaced. The snap-on design allows only the damaged cable to be easily replaced, making it a cost effective alternative to replacing the entire microphone in the event of a short or break. These replaceable cables are available in various connector types to accommodate various application. This cable features a standard 3-pin XLR connector for hardwired applications . These replaceable cables are available in various connector types to accommodate various applications. This cable features a 3-pin XLR connection for hardwired applications. The replacement cables are available in matching E6 and E6i ear set colors. This cable is black.